Environment - endanger wildlife & rainforests through illegal environmental crimes. Globalisation has fundamentally changed the business opportunities for criminal entrepreneurs. Geographic scope, volume & range of illegally traded goods have increased their negative, economic & political impacts. Criminal networks have acquired a global outlook for new illicit markets. Illicit networks have adapted to the latest technology to commit crimes such as cyber extortion. Social media networks are used to identify new clients and make payments. Globalisation of sporting events has led to an increase in unregulated sports betting. Betting on sporting events is increasingly used for money laundering and is connected to corruption in sport. Profits of international organised crime are as high as USD 870 billion - 1.5% of global GDP (UN). Half of these profits laundered through global financial system (UN). 20.9 million people forced into slavery worldwide (ILO). Counterfeit medicine worth USD 200 billion a year (OECD, 2010). 50% of the proceeds of crime come from drug trafficking, 40% from counterfeiting activities. 570 billion illicit cigarettes consumed in 2011. 25% of worldwide alcoholic consumption comes from illegal sources. To mitigate this global risk, public and private sector decision makers need a firmer understanding of the magnitude and nature of its impacts on economic activities, and a clearer understanding of the conditions that enable it. 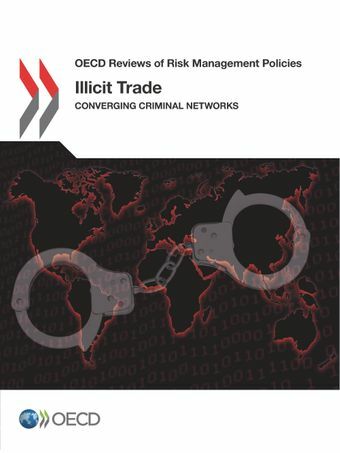 The OECD Task Force on Countering Illicit Trade focuses on evidence based research and coordinates international expertise in quantifying and mapping illicit markets.